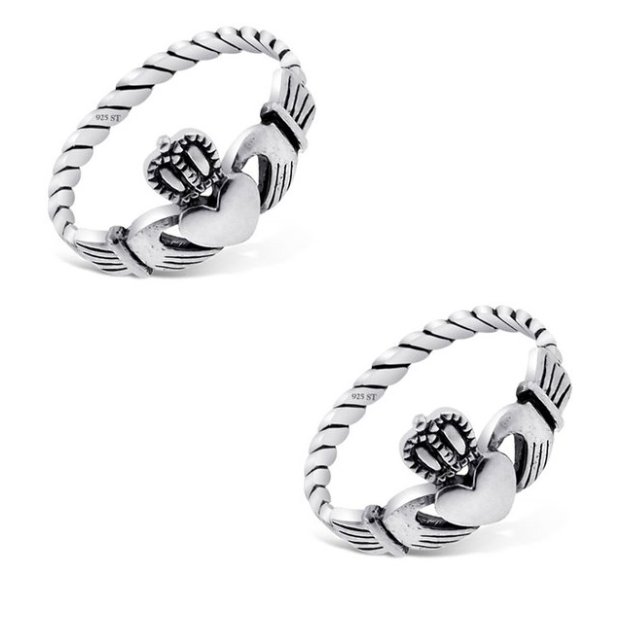 Sterling Silver Irish Claddagh Ring Only $6.96 Shipped! You are here: Home / Great Deals / Amazon Deals / Sterling Silver Irish Claddagh Ring Only $6.96 Shipped! Authentic Sterling Silver Jewelry 925 Stamped! This Irish Friendship & Love Band comes with a FREE gift pouch ! This is a different kind of deal from Amazon because you are paying 1 cent for the item and the rest is shipping. You are getting a great deal when you buy the Sterling Silver Irish Claddagh Ring for Only $6.96 Shipped!